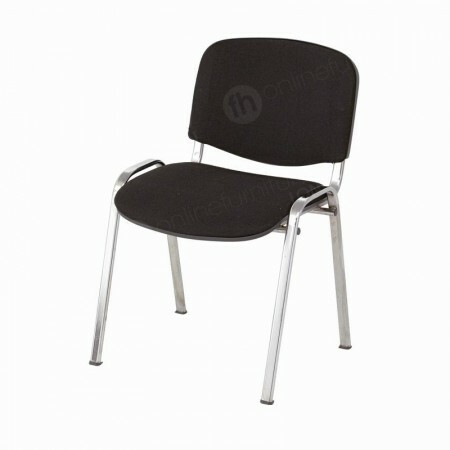 Seating for ten has never been so stylish thanks to our medium sized meeting room table! With two rectangular modular tables and two of our D-end tables this configuration results in an oblong shape consisting of our premium quality products that are affordable and set up really quickly too. 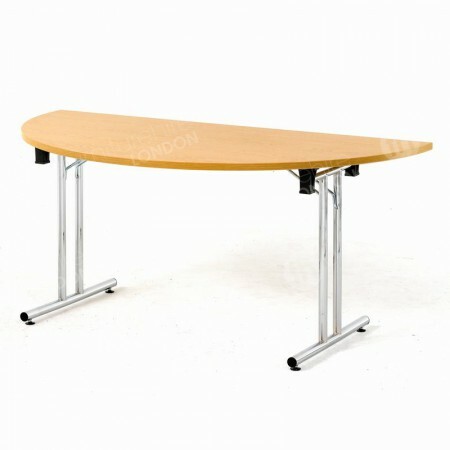 Our medium sized meeting table condenses all those fantastic benefits offered by earlier and innovative designs. Thousands of years ago, populations around the world didn’t have access to all the robust materials and hi-tech machinery that we do now, tables still existed, and some of them were exceptionally opulent and well-designed for the times. Versatility - a modern day invention? One area where older versions of tables may not have been so strong, was in their versatility. For example, some of the first tables are reported to have been made from stone. This type of design is believed to have been used by Ancient Egyptians who used the stone platforms to protect food and other items from getting contaminated from dust/dirt from the floor. Although these tables served their purpose very well, they would have been difficult to move and relocate. Following these stone tables, other populations also created surfaces that were used for many different purposes. Not just for eating - meeting, greeting and more! The Greeks and Romans made theirs for eating, and fashioned them from a variety of stunning materials, including marble and metals. In the East however, some of the first tables were created solely for users to enjoy creative hobbies, such as painting. Eventually tables began to become much more versatile - with wood making them lighter and products being launched that could fold - enter the mobile table! By the 15th Century trestle tables and those made from new joinery techniques were in widespread use, with different shapes also being used, such as the semi-circular variety that spread from Italy following introduction from the Romans. As you can see from our medium-sized meeting room table, our product lines benefit from all the innovative design, techniques and materials available in the 21st Century. 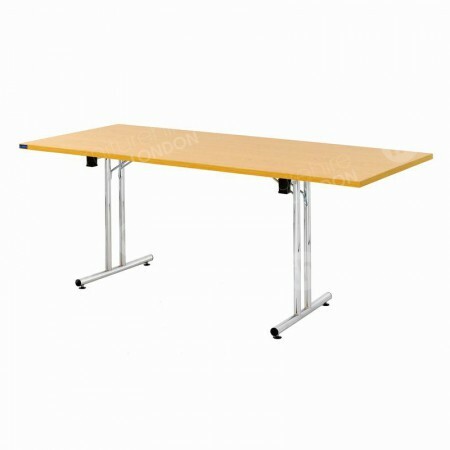 There’s a reason that folding tables have never lost their popularity - and that is because they’re so easy to re-locate meaning you’re able to use them in many different locations. Our medium meeting room table is composed of two rectangular tables and two of our D-end tables - with all of them folding flat in seconds. This means they’re easy to transport and set up in any venue, whether this is your office, meeting/training room, exhibition, conference, classroom, break areas and any other location you fancy. The folding mechanism isn’t the only feature making our meeting room tables perfect for corporate events, tutorials, seminars, training and lectures - we’ve also chosen top quality materials for them. Our tables are made to last - affordable too! With a surface made from premium 25mm melamine, they are robust and heat/stain resistant, while the polished chrome frame is steady, sturdy and has a contemporary finish that complements the light oak colour of the table top. I’m not sure what meeting table configuration to go for? We can help you with this! 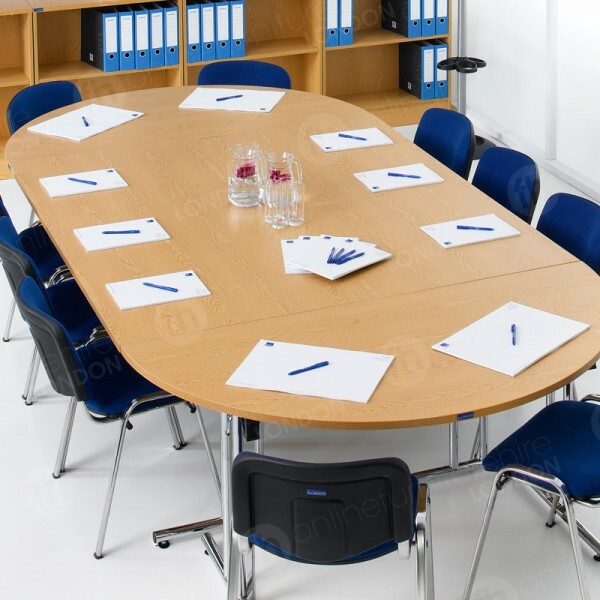 The type of table you need tends to rely on the size of your group and the type of meeting. Our medium, large and horseshoe table seat ten, 16 and 14 respectively, with the first two types suiting groups that may like discussions, while the horseshoe shape is fantastic for events that include presentations. Can I change the tables around to adapt to group functions? Of course you can. Our configurations are examples of popular ways our customers like their tables set up, but if another shape works better for you then swap tables around to suit your needs.